Analysts at Royal Bank of Canada (RBC) out with a brief preview on what to expect from today’s Bank of Canada (BOC) monetary policy decision. 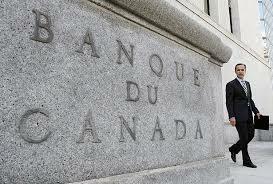 “We are in the majority seeing the BoC on hold at their policy meeting on Wednesday (no MPR or press conference). This has become a much closer call since Q2 growth came in strong at 4.5% q/q annualized (1.5pp above the BoC's July estimate), with consumption adding 2.6pp to that figure. The risk is that the BoC sees policy as too accommodative, with little remaining of the output gap currently barring any upward revisions on potential output growth. Ultimately, we think the BoC will want to see how the housing market and NAFTA talks evolve as well as two each of trade/jobs/CPI reports and their Business Outlook Survey before hiking at the October 25th meeting. Additionally, while not required given their hawkish shift that led to the July hike, some BoC communication since the MPR would have aided the market in interpreting the BoC's reaction function.